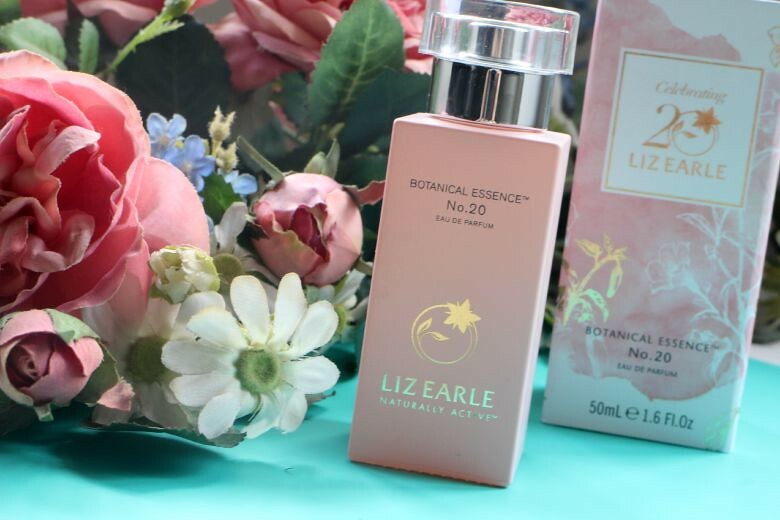 If you were tuned into QVC last week you may have seen the first look of the new fragrance from Liz Earle due to hit stores in October, and if you were even luckier you might have managed to place an order for yours to ship next week. I was particularly lucky to head to the Ham Yard Hotel a few months ago to meet the Liz Earle team and take a look at the new products coming this year (stay tuned for some fabulous Christmas sets), including Botanical Essence No. 20 Eau de Parfum*. The new fragrance from Liz Earle, and my first foray into fragrances from the brand, is to celebrate their 20th birthday, complete with limited edition packaging. The scent pays homage to the most popular of flowers, the rose and is inspired by 'a journey to the sunny plateaus of Isparta, Turkey'. I'm not a fan of rose fragrances but the mix of pink pepper, bergamot and mandarin top notes alongside the heart notes of Turkish rose, carrot (!) and jasmine and base notes of amyyris, sandalwood and vanilla bean has created a modern rose scent I enjoy. Fresh and spicy it's an unusual choice for me to like but I've found it perfect as we transition to Autumn. Finally I can join the rose fanclub. I was able to take my bottle over to my aunts who are are all Liz Earle fans and give them a sneak peek and it was a thumbs up for all. In fact I had to hide the bottle very quickly before there was none left for me to enjoy. 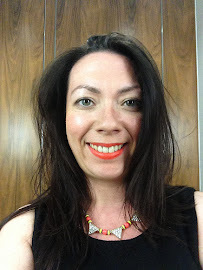 If had 'beauty blogged' back in the early days of my blogging life it'd have been very Liz Earle heavy. Liz Earle is the skincare brand that gives me the most nostalgia and is a comfort blanket which I like the security of. Their version of the 'three step routine' is simple and effective for me and whilst these days I'm sampling more products and requiring more targeted products and serums it's still one I turn to if I'm looking for simplicity. Like all Liz Earle products you are receiving a serum that is enriched with naturally active ingredients including Persian silk tree extra and rhubarb root. These ingredients work to even skin tone, life and firm skin by reducing the appearance of fine lines and wrinkles whilst plumping and soothing for radiant skin. The Liz Earle Superskin Face Serum* serum fits into your routine after the toning stage and unusually for me I've found this serum works for both morning and night. Usually my serums vary depending on needs and texture but this slightly different from the norm, creamy gel like texture is rich enough for night yet light enough for day and doesn't interfere with my make up - in fact it's looking better for it. 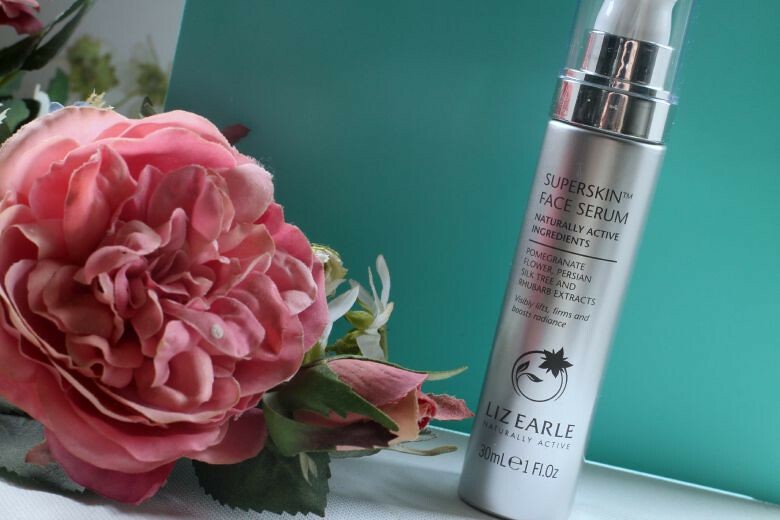 Most serum's are pricey and Liz Earle is no exception at £48, not unexpected for the ingredients contained in the Superskin Face Serum. The good news is we can now get Liz Earle in Boots which means Advantage Card Points. If you want to take a look at the floral beauty of the Liz Earle Press Launch take a look at my album here and I'll share some pictures on Instagram. Are you a Liz Earle fan? I started using the serum about a week ago because I didn't realize it was also for dry skin which my skin has been suffering recently. Has really done a great job at getting my skin feeling hydrated and even again!